Olympic bronze medallist and Great Britain’s most decorated international judoka Karina Bryant has announced her retirement from the sport, a year to the day after her medal winning performance at London 2012 in what has transpired to be the final competitive contest of her career. Bryant, 34 from Camberley, has no less than 15 individual senior medals from World and European Championships, with a further six at junior level, and has battled with injuries over recent years, not competing since having surgery shortly after the games. The four-time European Champion cites this as the main reason for her retirement, a decision she found very difficult to make. Bryant’s competitive career spanned over two decades and by 1998 the +78kg fighter was a double junior World Champion. It was in the same year that she became Junior European Champion and also won her first senior European Championships, taking gold in Oviedo. 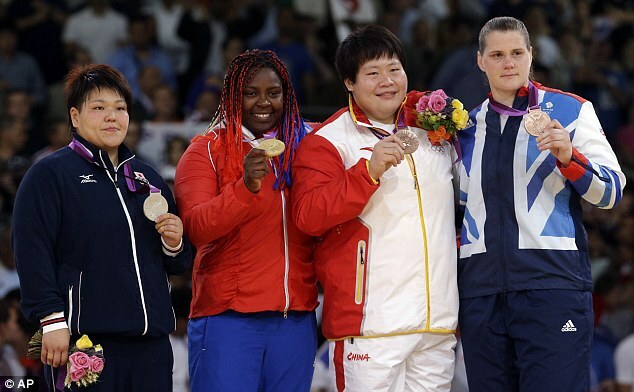 The following year Bryant won her first senior World Championship medal taking bronze on home soil in Birmingham. She went on to win another six World Championship medals including five silvers at +78kg and open weight in Munich 2001, Osaka 2003, Cairo 2005 and Rotterdam 2009. She also added a further three European titles in Wroclaw 2000, Dusseldorf 2003 and Rotterdam 2005 along with one silver and three bronze medals. By 2012, representing Great Britain in a fourth successive Olympic Games, an Olympic medal was all that was missing from Bryant’s record. She progressed through to the semi-final, defeating 2008 bronze medallist Lucija Polvader along the way but lost out to Mika Sugimoto of Japan in the semi-final. She faced Iryna Kindzerska in the bronze medal contest and came back from waza-ari down to score two waza-ari of her own for an ippon victory and the bronze medal. “I’d like to take this opportunity to thank everybody who has supported me in my career, in particular I want to thank Luke (Preston) for all his hard work and dedication as I feel I wouldn't have achieved my World, European and Olympic medal in the last Olympic cycle without him. 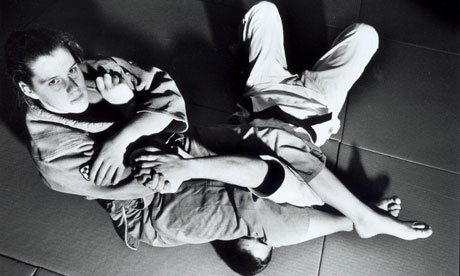 “I want to thank my Camberly Judo Club family for being so supportive - I have been a member there for 21 years. Commenting on her retirement, her coach Luke Preston said: "I feel very proud to have coached Karina over the last five years and especially proud to have shared her special day in London last summer. “Coaching her to the Olympic medal is definitely the highlight of my coaching career so far as I know all the sacrifices she made just to get there. “Her work ethic and dedication to her sport are an inspiration to everyone at Camberley and British Judo. We all wish her all the best in her future career." British Judo Chairman Kerrith Brown paid tribute to Bryant saying: “Today sees the retirement of one of British Judo’s greats. “I’d like to congratulate Karina Bryant on behalf of all of British Judo for her long and distinguished career in which she’s amassed an unparalleled haul of World and European medals. Great job Karina... You're a true inspiration!